If you are looking for a residential and commercial roofing company family in Ambler, PA. We are American Roofing & Remodeling Inc – a veteran owned company that will treat your property as our own. At American Roofing & Remodeling we pride ourselves on making the roofing process easy and care free from start to finish. Our sales staff will explain all products and warranties that will best suite your needs with no crazy sales pitch or nonsense. Our installation laborers will then take direction from our sales staff while being overseen onsite using the best practices in the industry to complete your job properly, on time, and on budget. But don’t take it from us, search our company online. From an A++ rating at BBB to reviews from google, GAF website, Guild quality etc. do the talking for us. You will also find we are certified with multiple residential and commercial manufacturers such as GAF Master Elite, IKO Shield pro, Owens Corning certified, and a CertainTeed select. For commercial and industrial roofing we are certified and able to provide up to 30 year NDL (no dollar limit) warranties. 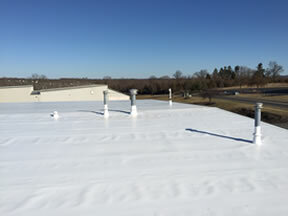 We are a GAF Master Select for TPO and coatings, Versico certified for EPDM, TPO, and Genflex Certified for EPDM and TPO. Please don’t hesitate to contact us for a free estimate today. 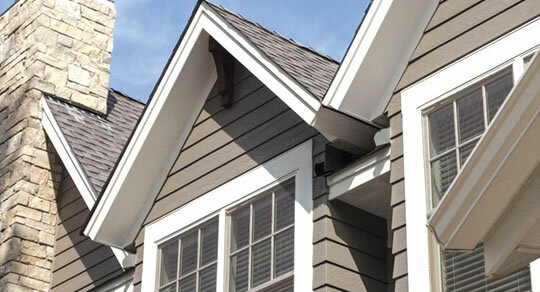 American Roofing & Remodeling is one of the best roofing contractors in Ambler, Pennsylvania. We have been serving the homeowners and business for almost two decades. 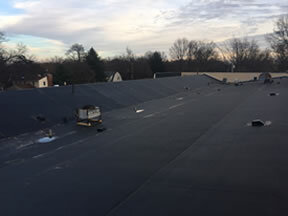 Since our inception, we have been one of the most trusted residential and commercial roofing partner of the people of Montgomery County, PA. 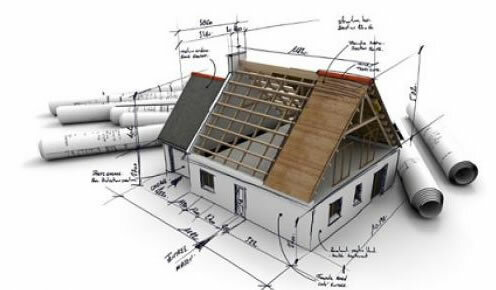 Here at American Roofing & Remodeling, we recognize the importance of your roofing system for your home or business. 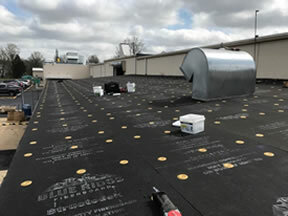 When it comes to roofing services, weather it be roof installations or roof replacements – we are the top choice of property owners when it comes to residential and commercial roofing solutions. There will never be a roofing demand too big or too small for our team of expert roofers and project managers. We live to our claim and always stay updated with the latest roofing technology and solutions available in the ever-changing roofing industry. Our roofers touch your property, rigid up-skill trainings and seminars have been given to them; accreditations and certifications should likewise have been sufficed. Apart from simply updating the roofing skills and equipment to address any roofing needs you may have, we always see to it that we also equip our roofers and project managers with the specialized roofing knowledge capable of resolving any roofing issues, regardless of its size and complexity. 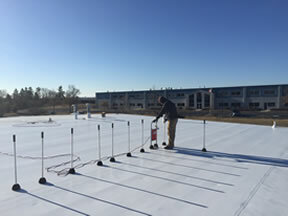 Moreover, aside from the specialized knowledge and roofing equipment we provide our team of expert roofers, installers, technicians, and project managers, we are also very meticulous in utilizing roofing materials for any roofing projects. Similar to our standard of service, we also set the bar high when it comes to partnering with roofing manufacturers. We only make use of trusted brands in the market today. In order to provide you with the best roofing products and materials that will complement our excellent services, American Roofing & Remodeling has partnered with industry-leading brands including GAF, IKO Shield, Owens Corning, and CertainTeed. 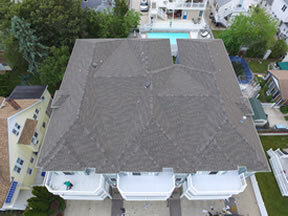 As a family-owned and locally operated roofing company, American Roofing & Remodeling has envisioned to be the best roofing contractor in the roofing industry of Ambler PA. In order to achieve such a goal, we strived to provide the best and yet affordable full-range of roofing services. To date, our roofing services mainly include residential roofing, commercial roofing, gutter & siding installation, replacement, and maintenance. Therefore, making us a one-stop shop for your roofing needs and the protection of your home or commercial property. There may be a lot of roofing companies and contractors around Montgomery County, Pennsylvania, but only a few can match our passion for service and excellence. 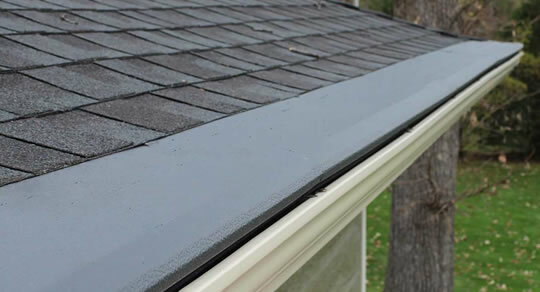 Furthermore, as with all our roofing services, affordability and reliability are our top priorities, making as an ideal roofing partner for wise homeowners and business owners looking to save money and receive value for money. Contact Us Today! Ambler is one of the many boroughs of Montgomery County, Pennsylvania. Ambler is located almost miles from the center of Philadelphia, PA. It occupies a total land area of 2.21 square kilometers, with a population of around 6,417 as of 2010 census. Despite being a small land, Ambler is rich with history and culture. We only install the best roofing, in the business, and our roofing technicians are highly trained for safety, cleanliness and professionalism. When we are finished with your job all debris will be completely removed, and your house will have the curb appeal you always wanted. Most importantly you will know the job is done right. Another one of our goals is to completely install your roof in one day. In most cases, when you leave in the morning to go to work, we will be arriving, when you return from work, we will either be done your roof, or finishing up. No hassles and no worries is what we want to achieve for our customers during this process. 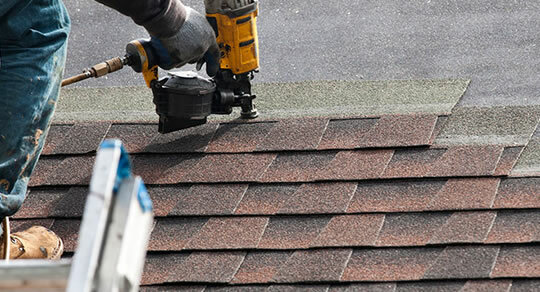 American roofing is a full service commercial building maintenance, and reroofing company. No commercial building is to big, or too small. 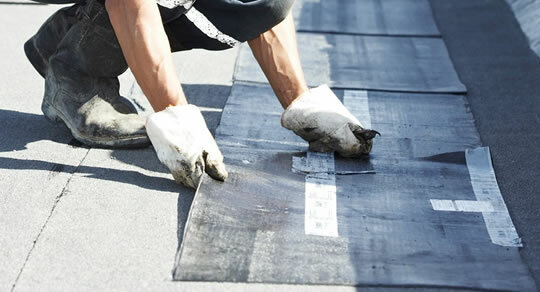 Our installation technicians have been trained in all forms of flat roofing systems.